Neurotheology: Connection Between Neuroscience and Spirituality. Neurotheological approaches provide an important bridge between scientific and religious perspectives. These approaches have, however, generally neglected the implications of a primordial form of spiritual healing—shamanism. Cross-cultural studies establish the universality of shamanic practices in hunter-gatherer societies around the world and across time. These universal principles of shamanism reflect underlying neurological processes and provide a basis for an evolutionary theology. The shamanic paradigm involves basic brain processes, neurognostic structures, and innate brain modules. This approach reveals that universals of shamanism such as animism, totemism, soul flight, animal spirits, and death-and-rebirth experiences reflect fundamental brain operations and structures of consciousness. The shamanic paradigm can contribute to a reconciliation of scientific and religious perspectives by providing a universalistic biopsychosocial framework that explicates the biological underpinnings of spiritual experiences and practices and provides a basis for neurotheology and evolutionary theology approaches. 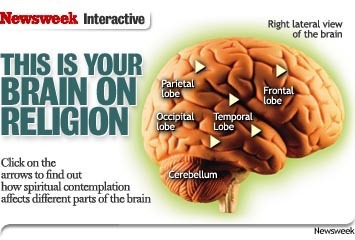 “Neurotheology” became a more commonly accepted concept after a Newsweek article (05/17/01) God and the Brain: How We’re Wired for Spirituality was published. The term reflects the idea that spiritual experiences have a biological basis. ”While the term neurotheology is new, the basic ideas have been around for thousands of years,” says Dr. Michael Winkelman, Department of Anthropology, Arizona State University. ”Many cultures have developed technologies for altering consciousness and inducing spiritual experiences.” Winkelman describes shamanism–an ancient healing practice–within the context of neurotheology. Scholars have recognized shamanism as a special form of religious behavior for more than a century. Winkelman’s earlier cross-cultural research on shamanism outlined in his book, Shamans, Priests and Witches, demonstrated that there were basic similarities in shamans in cultures around the world. The similarities in shamans include the use of trance or ecstasy–altered states of consciousness (ASC)–to interact with the spirits and heal. These spirit world interactions are often referred to as “soul journeys,” out-of-body experiences, and astral projection. These abilities are acquired when the initiate shaman undergoes a “death and rebirth experience” and acquires animal allies and spirit powers. “Universals of shamanism are related to basic brain functions,” says Dr. Winkelman, who suggests these universals reflect biological principles of the consciousness and the functions of ASC. Shamanism: The Neural Ecology of Consciousness and Healing explains basic aspects of brain operation that provide the foundations for shamanic practices and experiences. ”The shamans’ experiences and practices have fundamental similarities around the world because they reflect innate brain processes and experiences,” says Winkelman. Winkelman’s research findings place shamanism in the context of human evolution and suggest that shamanic practices were a key element of the evolution of modern humans some 40,000 years ago. Shamans helped people acquire information and develop new forms of thinking. Shamanism also provided mechanisms for healing and personal development, building alliances, and creating group solidarity. “Shamanism is not just an ancient practice nor is it limited to simpler societies,” says Winkelman. ”The contemporary world has many examples of ‘neoshamanism,’ current adaptations to these ancient principles of spiritual healing and consciousness. The perspectives of neurotheology help explain the persistence and revitalization of shamanism, with current practices reflecting the same principles of brain operation that engendered the original manifestations of shamanism tens of thousands of years ago. Winkelman’s book “Shamanism: The Neural Ecology of Consciousness and Healing” describes these brain systems, their functions, and how they can be elicited to enhance human health. Alternative healing practices incorporate many shamanic principles and activities. ”The rise in popularity of alternative medicine is part of a desire of people to take charge of their own healing,” Winkelman points out. ”Shamanism was the original self-healing practice, a form of self-empowerment.” Winkelman’s book elaborates on how shamanic practices help people establish contact with their intuitive powers, manifested in visual symbols. Winkelman predicts that shamanism will continue to grow in popularity due to its natural basis in human psychobiology. Dr. Michael Winkelman’s teaching and research interests focus on shamanism and psychedelic medicine, applied medical anthropology, and cross-cultural relations. His research on shamanism includes cross-cultural studies, investigations into the origins of shamanism, and contemporary applications of shamanic healing in substance abuse rehabilitation. He has pioneered perspectives on shamanism as humanity’s original neurotheology and studies on the biological bases of religion. 2005 Pilgrimages and Healing. Jill Dubisch and Michael Winkelman,, eds. Tucson: University of Arizona Press. 2004 Divination and Healing: Potent Vision. Michael Winkelman and Philip Peek, eds. Tucson: University of Arizona Press. 2006. Shamanism and the Biological Origins of Religiosity. Shaman 14(1&2): 89-116. 2006. Cross-cultural Assessments of Shamanism as a Biogenetic Foundation for Religion. In: Patrick McNamara, ed. Where God and Science Meet: How Brain and Evolutionary Studies Alter Our Understanding of Religion. Pp. 139-159. Westport, CT: Praeger. 2004 Spirits as Human Nature and the Fundamental Structures of Consciousness. In: From Shaman to Scientist Essays on Humanity’s Search for Spirits, J. Houran, ed. Lanham, MD. : Scarecrow Press. Pp. 59-96. 2004 Shamanism as the Original Neurotheology. Zygon 39 (1): 193-217. 2004 Introduction: Divination and Healing Processes. Michael Winkelman and Philip Peek. 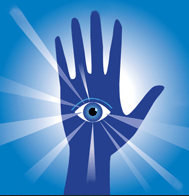 In Divination and Healing: Potent Vision. Michael Winkelman and Philip Peek, eds. Tucson: University of Arizona Press. Pp.3-25. 2004 Shamanism: Update. In: Encyclopedia of Religion, 2nd. Edition. Jones, Lindsay, ed. Thompson Gale Pub. Pp. 8274-8280. 2004 Cross-cultural Perspectives on Shamanism. In: Shamanism An Encyclopedia of World Beliefs, Practices and Culture. M. Walker and E. Fridman, eds. Santa Barbara, Ca, ABC Clio.pp. 61-70. 2004 Neuropsychology of Shamanism. In: Shamanism An Encyclopedia of World Beliefs, Practices and Culture. M. Walker and E. Fridman, eds. Santa Barbara, Ca, ABC Clio. pp.187-195. 2003 Shamanism and Innate Brain Structures: The Original Neurotheology, In: NeuroTheology: Brain, Science, Spirituality, Religious Experience, Rhwan Joseph, ed. University Press. Pp. 387-396. 2003 The Shamanic Paradigm: A Biogenetic Structuralist Approach. Reply to Reviews of Michael Winkelman’s Shamanism. The Neural Ecology of Consciousness and Healing in the Journal of Ritual Studies Book Review Forum, Vol 18(1): 119-128. 2002a Shamanism and Cognitive Evolution. Cambridge Archaeological Journal. 12(1): 71-101. 2002b Shamanic Universals and Evolutionary Psychology. Journal of Ritual Studies. 16(2): 63-76. 2002c Shamanism as Neurotheology and Evolutionary Psychology. American Behavioral Scientist. 45(12): 1873-1885. This article is in an Adobe PDF format. To download Adobe Acrobat Reader, please go to this website http://www.adobe.com/prodindex/acrobat/readstep.html. 2001 Psychointegrators: Multidisciplinary Perspectives on the Therapeutic Effects of Hallucinogens Health Practice Review. 6(3): 219-237. 2000 Shamanism: The Neural Ecology of Consciousness and Healing. Westport, Conn.: Bergin and Garvey. 1997 Altered States of Consciousness and Religious Behavior. In Anthropology of Religion: A Handbook of Method and Theory. S. Glazier, ed. Westport, Conn.: Greenwood, 393-428.